Seven short stories and a novella. 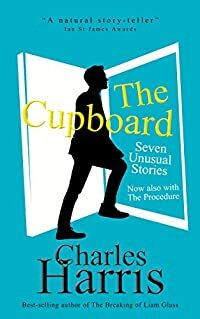 …The seven short stories in this short, yet perfectly-formed, collection are brimming with off-beat invention, wry humour, compassion and the possibilities of life. Best-selling author Charles Harris brings his razor-sharp eye and the effortless control of a master storyteller to pack a novel's worth of plot into a page. Each story reveals a world that is both recognisable and yet subtly shifted as he tells of the moments when lives are changed forever.